If you're looking for new hardware for your cabinets, then why not check out our cabinet pulls for your kitchen or, for that matter, any room in your home? Cabinet pulls are stylish, practical, and sturdy. 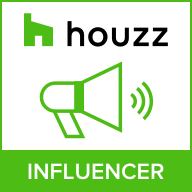 They will help you recreate a new look or further accent a current style. Plus, we have more than one pull at Horton Brasses, so that you can choose the hardware that best fits you and your home! Are you looking for pulls that are strong, sturdy, and beautiful? 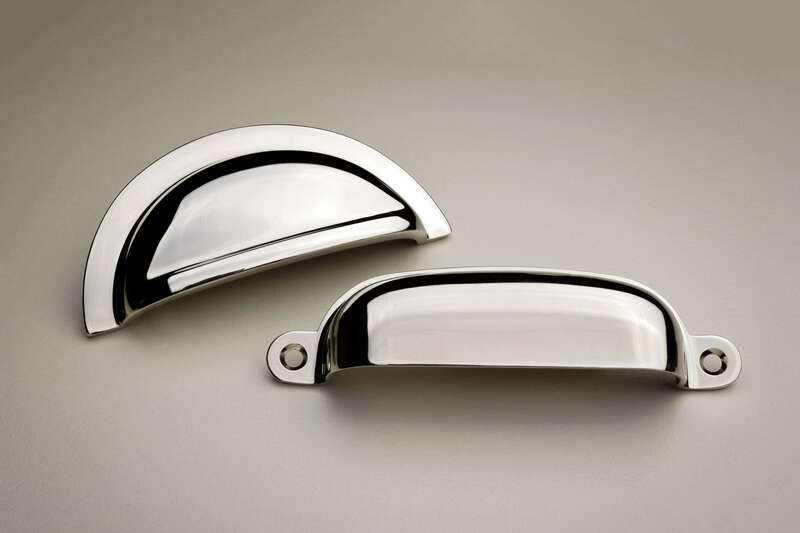 Perhaps you need a new handle on your refrigerator or oven; if so, our solid brass cabinet pulls are your best option. These pulls are elegant, modern, strong, and easy to grip. If you have a cabinet that receives a good amount of wear and tear, our cabinet pulls will stay strong and sturdy for years to come. Our pulls come in many different sizes so that you can choose the best option for your home cabinets. If you're looking for a pull that will compliment your colonial, Victorian or art deco-styled home, check out our brass bin pulls. 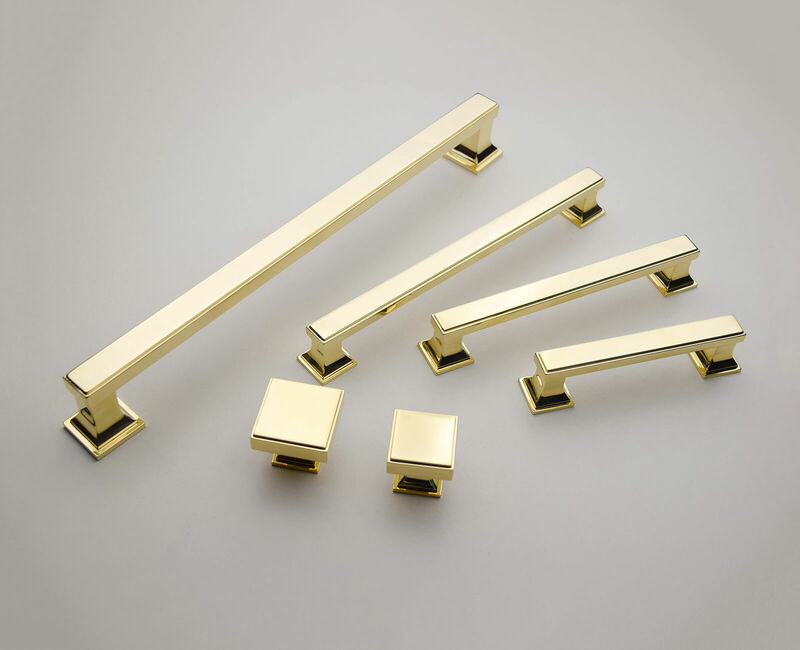 Brass bin pulls are made from solid brass and hand finished enhancing the beauty and style of each pull. Choose from seven distinct finishes to appropriately match your new hardware to the theme of your home. The great thing about bin pulls is they are smooth and practical and can be installed virtually anywhere. If you're looking for something a bit more stylish, don't hesitate to inquire about our ring pulls. Ring pulls are great for a wide range of cabinets and drawers; install one of our smaller ring pulls to be used on a spice drawer or install a larger pull on a full-sized door. 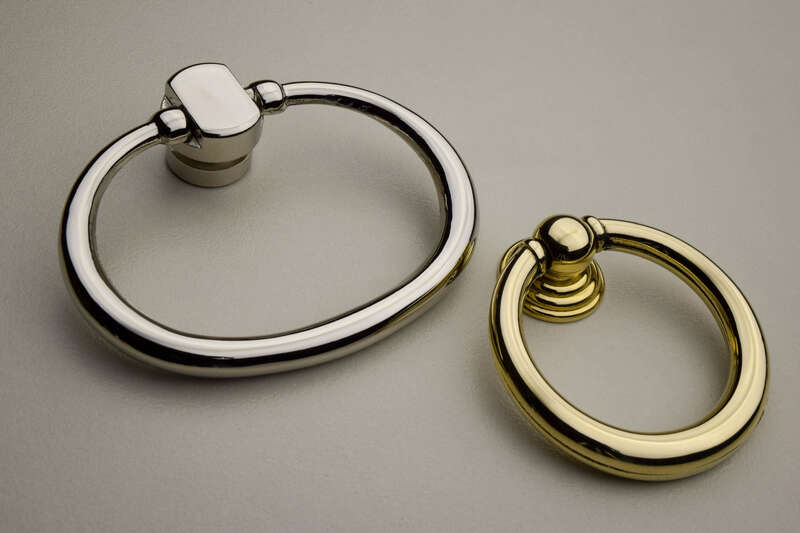 The beauty of ring pulls is found in the finish; satin nickel, semi-bright brass, and oil-rubbed bronze will make your ring pull stand out and demand attention. Cabinet pulls hardware is very important in any room of your house. If your existing pulls don't match your style, replace them with pulls from Horton Brasses.